Welcome to Worldtex Speciality ChemicalsManufacturer & Exporter of Textile ChemicalsThe company was established in the year 2003 at Ahmedabad. Strong R& D department & qualitativeapproach helped us to earn reputed clients across the globe. We are well known in the market for our assured quality, reasonable prices & prompt delivery schedule. 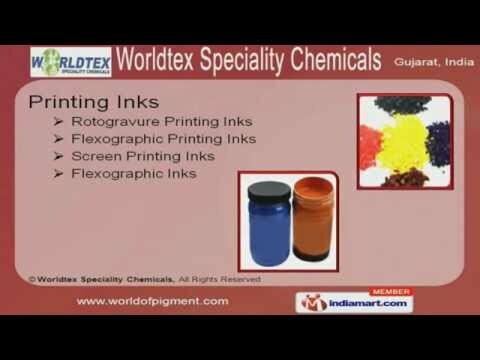 Our product list includes Printing Inks, Textile Chemicals & Pigment Paste. We offer premium grade Rotogravure, Flexographic & Screen Inks. Our Dispersing Agents & Viscosity Improvers are widely acclaimed in the industry. Along with that we offer Textile Auxiliaires, Binders & Softeners that are a class apart. Pigment Pastes are some of our best selling products. Our Pigment Fine Pastes are available at industry leading prices.